Tomorrow, Adelaide’s very own James Squire restaurant and bar, The Curious Squire, will be holding a special event called Meet The Brewer to celebrate the launch of two brand, new James Squire brews. 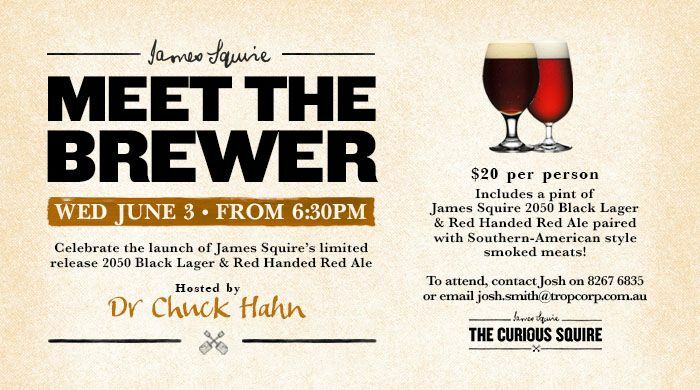 For just $20 per person, The Curious Squire invites guests to attend the Meet The Brewer event, including a pint of the new, limited releases, ‘Red Handed Red Ale’ and ‘2050 Black Lager‘, each paired with some of the restaurant’s signature South American smoked meats. Director of James Squire’s Malt Shovel Brewery, Dr Chuck Hahn, will be the exclusive guest host for an evening of beers and South American-inspired treats. Having been involved in the Australian, New Zealand and American brewing scene for over 30 years and currently holding a renowned profile in Australian brewing, the event will be an incredible opportunity to learn more about the brewing scene and James Squire brews. 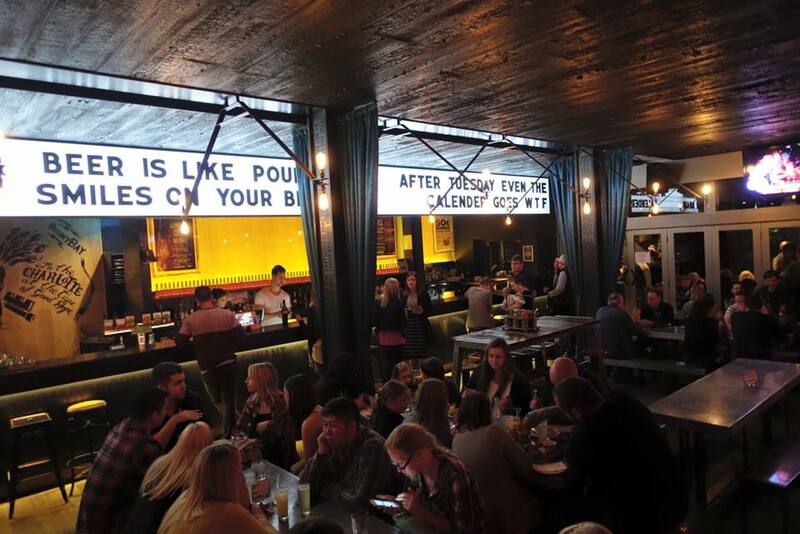 “Dr Hahn is a legend of the brewing industry and the reason behind the success of the Squire’s brand,” says Antony Tropeano, Owner of The Curious Squire. To be first in best dressed and grab your tickets, call Josh on (08) 8267 6835 or email josh.smith@tropcorp.com.au. Space is limited!